– Should the large-scale RET be abolished, reduced or increased? If retained, what level should it be? 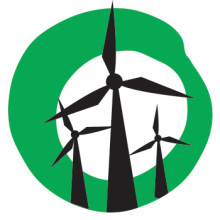 – Do small-scale renewable energy systems still require support through the small-scale RES? If so, for what period will support be required for? – Should the LRET and SRES schemes be recombined? 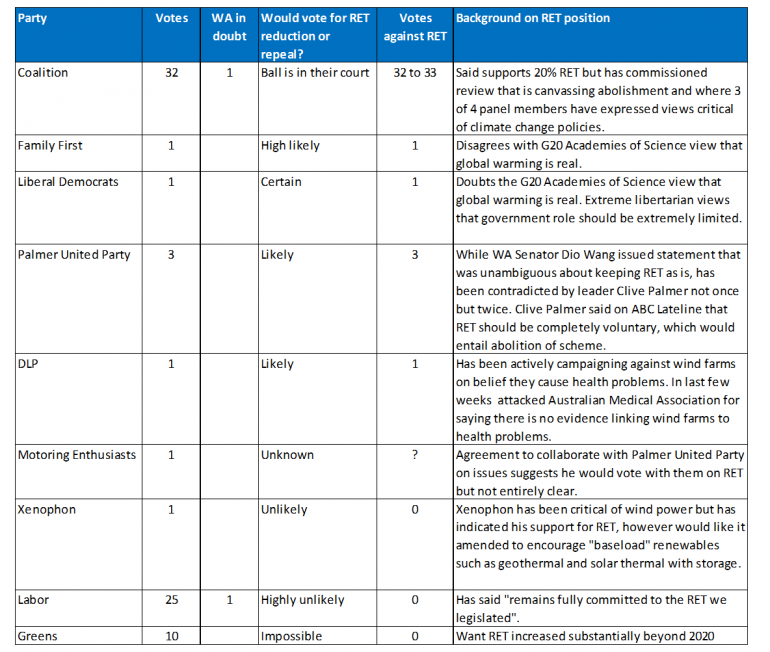 The table below outlines the likely shape of how the Senate would vote on changes to the RET. The sixth and final senate seat in the West Australian Senate by-election is still in doubt, with a tussle between Labor and the Liberals (the other seats are two to Liberals, one to Labor, one to the Greens and one to Palmer United). If the final seat falls to the Liberals then the Coalition is likely to have the 39 votes required to either substantially weaken the target or abolish it altogether. Even if the Liberals miss out on this WA seat, Ricky Muir from the Motoring Enthusiasts could vote with Palmer United to provide the numbers to amend the scheme. Previous Previous post: Yes 2 Renewables launch RET Road Trip!